Ecliptic Technologies announces the release of The Connector 2.1. The newest version is a minor release adding several new features to The Connector. The user interface for the Custom Field mapping has been improved, providing for more user control and manipulation on the screen. There is now a Group by Data Type option that allows the field to be organized, as well as a Search option to easily find a specific field. The fields are then only displayed on the main Custom Field mapping screen if they are selected for mapping. Check out Working with Custom Fields in the online manual for additional information. The Connector now has the ability to learn the date format that JIRA is expecting in a non-English environment by looking at existing tasks in JIRA. The translation for the months is done by a simple click of the mouse. 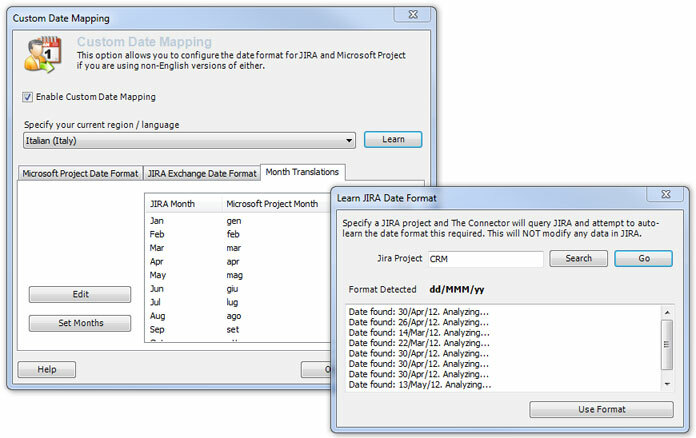 The Learn button does the analysis and detects the correct date format. Check out Custom Date Formatting in the online manual for additional information. NOTE: This feature is only available for Microsoft Project Server. The Connector now supports the use of Enterprise Resource Custom Fields for mapping the JIRA username. 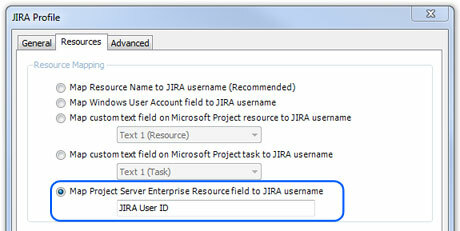 It also supports mapping of JIRA custom fields to Microsoft Project Server Custom Fields. 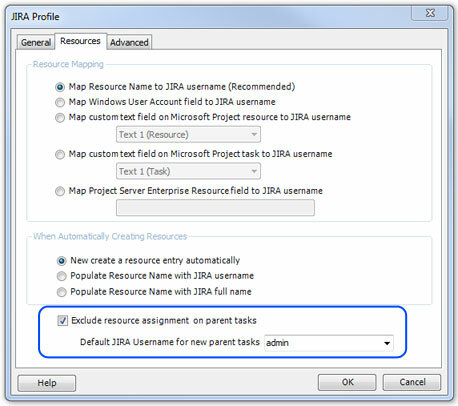 On the Resource Mapping screen you will now see a new option to “Map Project Server Enterprise Resource to JIRA username”. Simply selecting that option and entering the Enterprise resource field name will link the resource to the JIRA username. 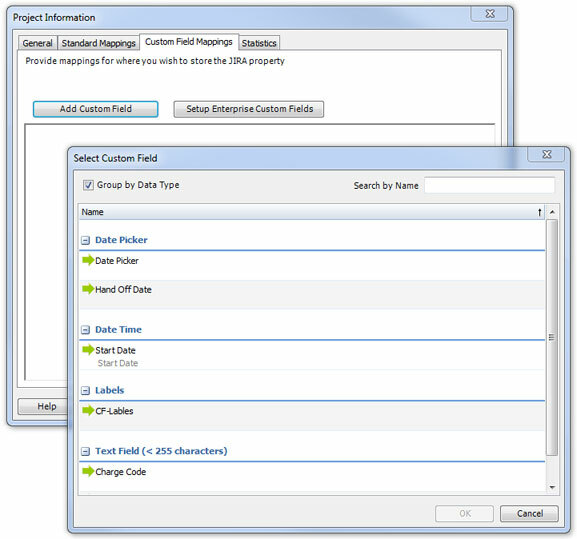 In the field mapping tabs of the Project Information screen there is an option to Setup Enterprise Custom Fields. Entering the name of the field and clicking the Add button then makes that field available for mapping to either a standard or custom field. 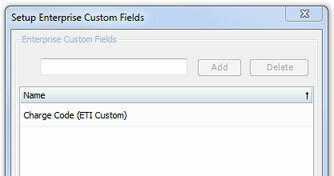 Check out Setting up Enterprise Custom Fields in the online manual for additional information. The Connector now has the ability to import / update the work log details for multiple resources on a single task. With this option the work logs will update actual work in Microsoft Project for each user that has logged work for the task. If there is a user on the task that is not listed as a resource on the task currently in Microsoft Project then there is the option to have The Connector prompt the user with what to do. If there is a resource assigned to the task in Microsoft Project that does not have work logged in JIRA, The Connector will pass over that resource, making no change to it. 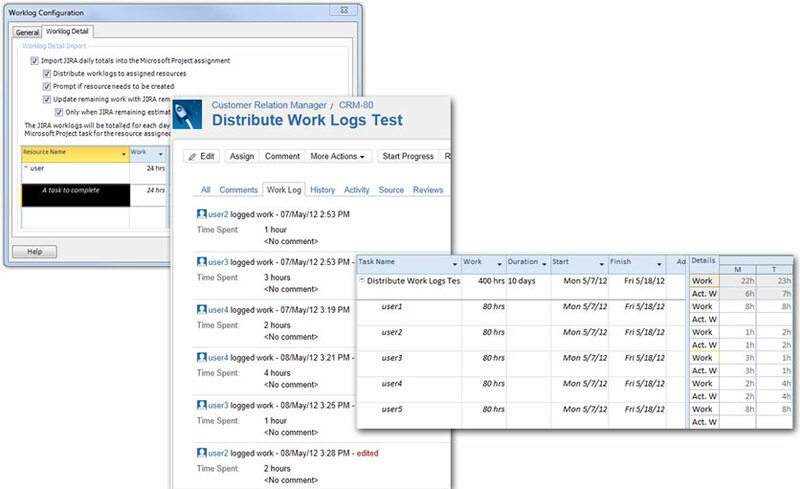 Check out Worklog Configuration in the online manual for additional information. The Connector now has added functionality that allows the use of Parent Tasks as the summary of multiple Sub-Tasks. There is no resource assigned to the Parent Task in Microsoft Project and all logged time is summed up on the summary Parent Task. Check out Working with Sub Tasks in the online manual for additional information.